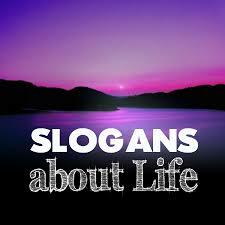 SLOGANS ON LIFE:- Life is like a drama and we are its characters. The only difference in real life and drama is, we already know what to play in drama but we never know what will happen tomorrow in real life. So, life is a secret drama directed by the supreme power and played by us. We are living our life without knowing that what will happen in the future. Some are happy, some are sad. But the real thing is that we all should take life as an easy act and be happy always. Problems and happiness are two faces of life and come alternatively one by one. But we should focus on our main aim and continue living life happily. Life is precious; live it but don’t waste! Life runs parallel to your breath and ends with it. Doesn’t matter where you live, but live happily. You get a life once, live it as you want. 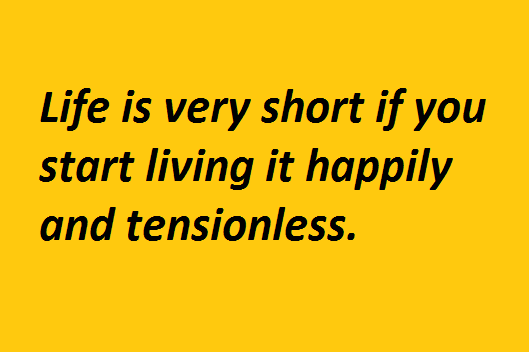 Life is very short if you start living it happily and tensionless. Be real in your real life as everyone has to pay later. Never leave the person who lives for you. Care and respect the person whom you love. Don’t take life serious, enjoy it. Be happy and make others happy too in your life! Eat healthily and live a healthy happy life. Life is a game, play it happily. The family is a God gift on this earth. Never count your age, just live a happy life. See dreams and try to complete. Just be what you want to be in your life. Always live in reality, not in imagination. Live life according to you, not others. Live every day of your life as the last day of life. Just remember! Life is what you make it. Remember past, live in present but always plan better for the future. Life begins when you take birth. Add laughs to your daily life. Life is not life without happiness and joy. Help someone in your daily life. 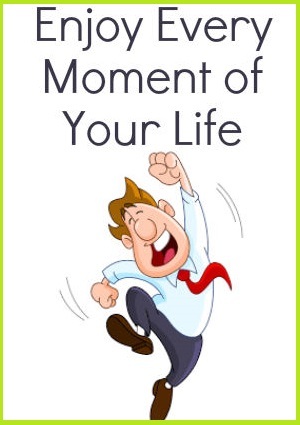 Remember the happiest moments of your life. Every moment is life, live it happily. Adventure brings newness in life. Never stop learning till the last day of life. Make yourself busy and enjoy your life. Laughter is the best medicine to live happy and tension free life. Don’t fear of making mistakes in life but learn from it. Target every day of your life for new challenges. Feel so happy and free like birds. Eat fresh, breathe clean, think positive and be happy in your life. Target big challenges in your life. Must do things what people think that you cannot do. Full your life with creativity. Just remember! You are the master of your life. Never forget! Everything is possible and nothing is impossible. Change your thinking into action to complete your dream. Make goals and then act. Don’t waste your time if you want to gain forever. Hard work has no alternative. Be a successful person and write your own success story. Concentration and continuity is the key to success. Always refer to your interest in life. Don’t afraid of problems, they are good for us in life. Never become hopeless; hope is like a catalyst. Have the ability to adapt and accept changes in life. Problems and happiness, both are not stable.